Ever wondered if big cats like lions and tigers enjoy catnip like many domesticated house cats do? I think you'll find the answer to that question in this video! They seem to relish (VBP) the catnip toys given to them. Watch for yourself. Catnip is a perennial (VBP) herb that is native to Europe, Africa, and Asia. 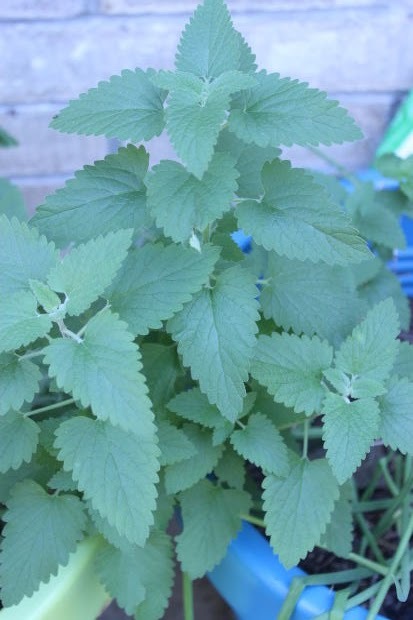 Catnip belongs to the mint family of herbs and plants. Very young kittens or senior cats are less likely to have a reaction to catnip. Humans can use catnip in teas for relief from nausea, headaches, upset stomach, insomnia, and toothaches. My most recent kitty never had any response to catnip. 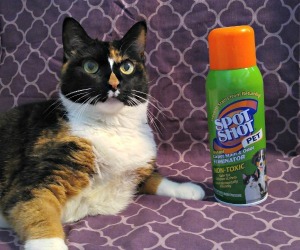 What about your cat? Are they crazy for catnip? Thanks to Jet, Savannah, and Texas for hosting the Vocabulary Building Project Blog Hop! Click here for this week's linkie. Pawsome. That was very cute. Have a marvelous Monday. OUr Nin gets high on it! Have a good day. Great video. Some of us like catnip and some of us just don't care. Have a great week. Great! how interesting. I never thought that catnip is such a versatile plant - THANKS! That's pretty interesting. I had a couple cats a few years ago, that LOVED it. When we had a kitty, we grew catnip for him and he would often sleep in the pot. Waffles Too had his first dose of catnip just the other day and I think it's safe to say he LOVES it. For once, he left Katie alone. ...so I guess that means Katie loves it too!!! Aww I'd love to see what he does with some catnip! Our last cat Millie loved Cat nip, she turned into some drug crazed addict bouncing off the walls. The leopard was my favorite, the ways he rubbed into it was so cute!! Mum was all like 'awwwwwwww' and 'ohhhhhhhhh' BOL!!! Yay Sammy! Glad he's feeling well enough to come home! Well, that answers the question doesn't it?!? It looks like they love it! My Molly looooooves catnip. I haven't caught the other cats really bother with it though. Hey Ann, I'm busy playing catch up today. First I want to tell you that I'm sorry I missed your fundraiser...there's always next year! 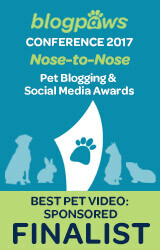 Second, I thought the Valentine you made that was featured on BlogPaws was so cute! (Happy Belated Valentines Day) Now my numbers are gonna get mixed up...I've always thought bird watching would be fun, just never got around to it. Although we have a family of cardinals that lives nearby, blue jays too. Great beautiful birds. AND, I've been to Big Cat Rescue myself. What a fabulous place. Thanks for the video...I've often wondered if big cats like a little nip once in a while! LOL Happy Weekend! Hey Loy - I think it's pretty cool that you've been to the Big Cat Rescue. 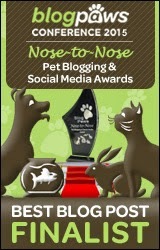 Nibblet did enjoy being featured on BlogPaws again :) I've got a bit of catching up to do myself! Thanks for stopping by.